Wet abrasive blasting is a highly versatile process that can be used for a wide variety of purposes, including removing rust and corrosion, stripping away old coatings and paint layers, and profiling surfaces in preparation for re-coating. A wide variety of surfaces can be effectively profiled using wet abrasive blasting, including steel, aluminium, brass, bronze, copper, brick. stone, cement and concrete, wood, fibreglass and bitumen. The process can be used on large-scale industrial sites, mining equipment and facilities, agricultural and industrial machinery, boats and ships of all sizes, and for line marking and graffiti removal. Wet abrasive blasting can also be used on small-scale and domestic projects as well. Wet abrasive blasting is a very fast process, producing contaminant free profiled surfaces quickly and efficiently. Blasting speeds of up to 18m2 per hour can be achieved and so vital machinery or equipment is not out of action, nor boats held up in dry dock, any longer than they need to be. Its portability and ability to be used on any type of site in almost any sort of location (including onboard ships) makes wet abrasive blasting the most versatile blasting method available. Wet abrasive blasting uses only around half the media of conventional dry sandblasting or grit blasting (most often garnet or staurolite). As well as being more economical, this also means that disposal costs are significantly reduced. The amount of water that is used in wet abrasive blasting is approximately 0.5 litres per minute, and therefore over the course of a day’s blasting, only between 200-250 litres of water would be expected to be used. A significant advantage of wet abrasive blasting over more conventional methods of dry media blasting or slurry blasting is that very little dust is produced. 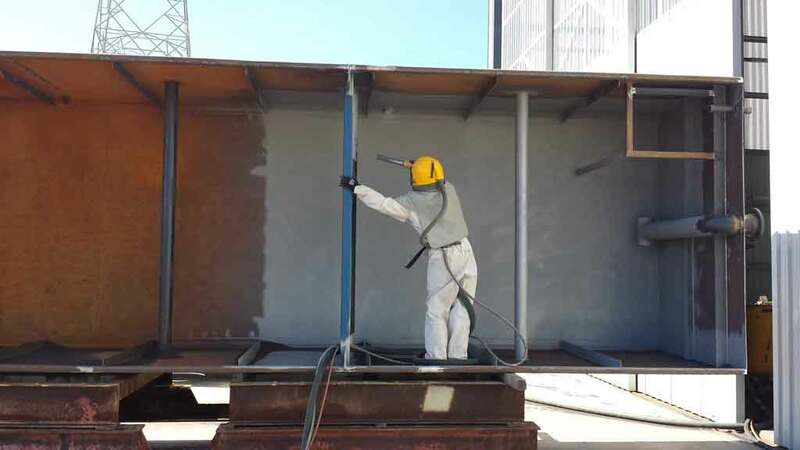 This means that other work can continue around the abrasive blasting process, and other trades in the immediate vicinity are not prevented from working. The media used in wet abrasive blasting is also confined, usually falling within only a 3-5 metre radius. This is in contrast to conventional dry slurry blasting or sandblasting, where the media can sometimes fall as far as 20 metres away. Wet abrasive blasting is highly effective in the removal of coatings, corrosion, rust and other residues from all types of surfaces, and in so doing creates a superior surface profile that enables newly applied coatings and paint to adhere better and for longer. When used in the shipping industry, for example, wet abrasive blasting removes salts and chlorides from a boat’s surfaces and hull in such a way that anti-fouling paints and marine industrial coatings adhere more effectively to the surface and remain in place much longer. Wet abrasive blasting combines the simplicity of conventional grit blasting or sandblasting with the effectiveness of of ultra high pressure (uhP) jetting without the associated hazards and complications. Surface tension coats the blast media that is used in the process in a water jacket. This increases the speed and the mass of the media, which in turn increases its impact on the surface being blasted. The water also serves to lubricate the hose and nozzle, thus reducing wear and tear. When the blast media hits the surface, the water jacket continues to move while retaining the media within it, preventing the grit from bouncing. The water jacket snaps round the blast media into the crack under the blast surface and hydrostatically blasts a larger amount of surface coating away than is the case when conventional dry abrasive blasting is used. This produces a profiled surface and feathered edges, with less gingering than is the case with dry blasting, while consuming a minimal amount of blast media and water. 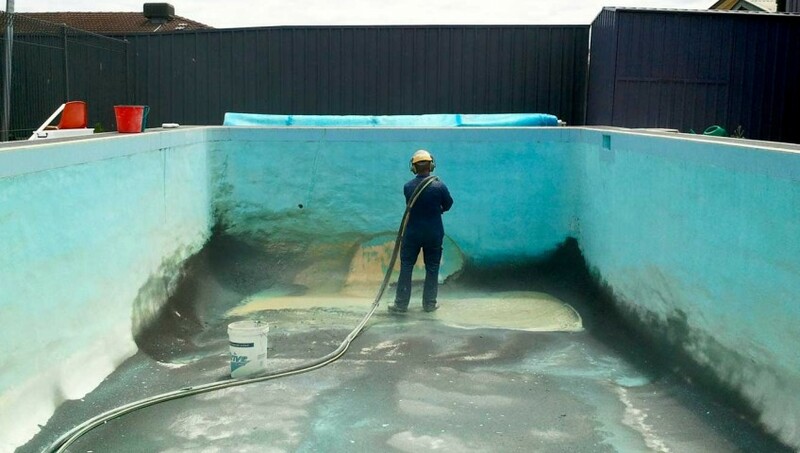 Wet abrasive blasting can be used safely to remove bad coatings, coal tar epoxy paint and lead-based paints, as it does not set off airborne particles in the way that dry blasting or sandblasting would. Also, used media falls within a 3-5 metre radius of the blasting site and so can be easily encapsulated. In addition, wet abrasive blasting produces up to 21 decibels less noise than conventional blasting methods, making for a more pleasant working environment on site and in surrounding areas.